After closing of the second period for public commentary, criticism, and suggestions, the Humane Party has finalized the text of Section 1 of the Abolition Amendment. The Abolition Amendment is a proposed amendment to the U.S. Constitution. Modeled closely on the 13th Amendment, the Abolition Amendment abolishes the property status of all animals—not just homo sapiens—within U.S. jurisdiction. This language adds three words—“of any animal”—to the pre-­existing language of the 13 Amendment. It also deletes the 13th Amendment exception for slavery or involuntary servitude as criminal punishment. No persuasive arguments for further modification of the language quoted above emerged during the second public-­comment period, which closed in April, 2016. 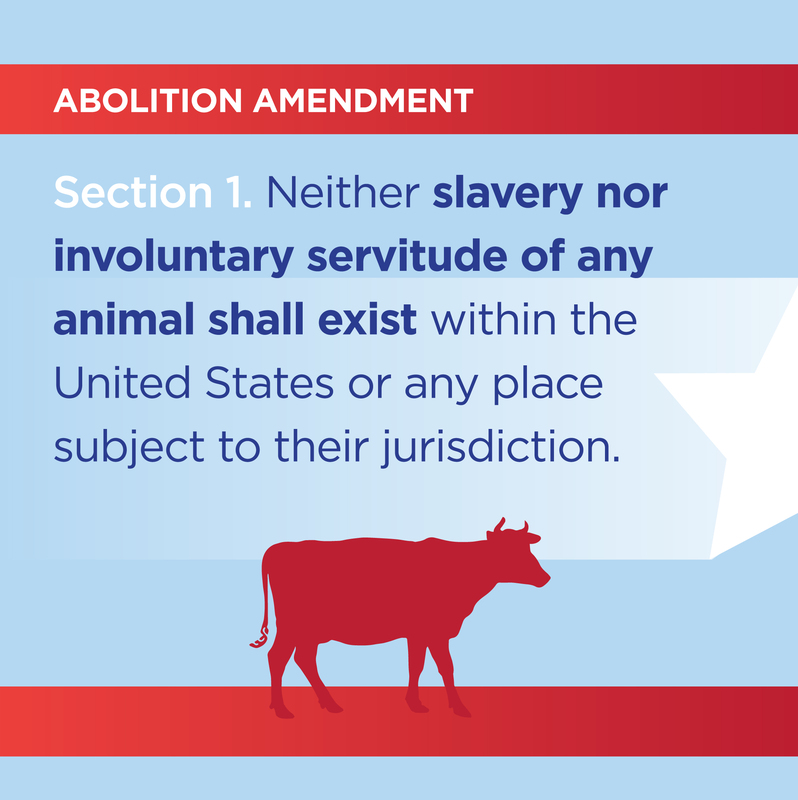 Accordingly, the above text was finalized as Section 1 for the Abolition Amendment by Robin Miller, current Chief Executive Officer of the Humane Party , on May 6, 2016. The remaining sections of the Abolition Amendment have not been finalized, and the process of revising these sections in light of comments received during the second public­-comment period continues. Upon completion of the third draft, these sections will be subjected to at least a third public-­comment period.